Bellway proudly launched of The Orchards on the outskirts of Colchester at the end of last month. 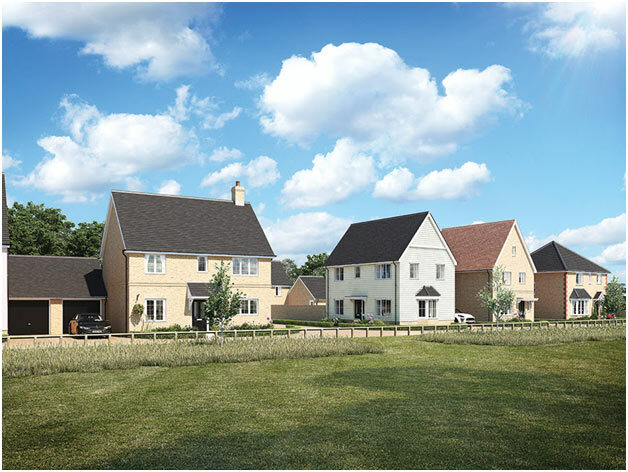 The development of 197 homes comprises a collection of two, three, four and five bedroom detached and semi-detached houses just three miles from the heart of the ancient town. Bellway has designed a ‘village style’ community at The Orchards, with wide boulevards meandering through the wide streets. The homes cater for a variety of potential purchasers, including families, first-time buyers and young professionals. Each property is finished to an exemplary standard with optional interior design upgrades available and clever design features. “Colchester goes from strength to strength as home buyers are pushed further out of central London, even from Chelmsford which has seen prices soar in the past few years. Colchester is a beautiful historic town surrounded by idyllic countryside, and yet still an easy commute into the city. With houses starting from just £277,995, these homes, combining rural living with plenty of amenities, have already attracted very strong interest”. Sitting on the border of Suffolk, the lush East Anglian countryside provides a wonderful backdrop for those who enjoy country living. Colchester was the first Roman capital of Britain, and this history is abundant in the town, with part of the original Camulodunum wall on Balkerne Hill, and two Roman theatres. Colchester Castle, situated in Castle Park, is the largest Norman Keep in Europe, and its grounds offer a café, a boating lake and children’s play area – perfect for summer picnics. There are nature reserves such as Highwoods Country Park only a short drive away, with wildflower meadows, woodlands, walking trails and a fishing lake, along with play areas for children, and there is even Colchester Zoo, spanning over 60 acres. For the active residents, Colchester United Football Club and Colchester Rugby Club are only a short distance from The Orchards, along with well-known private health club David Lloyd and Colchester Leisure World. The High Street offers well-known restaurant choices alongside traditional English pubs, such as the George Hotel, where visitors can relax in front of a roaring fire in winter, and indulge in food and drink all year round. The Red Lion, also on the high street, dates back to the 15th century, while Jacqueline’s Tea Rooms on Short Wyre Street serves up afternoon tea in a 1940s setting. There are also out of town options such as Hall Farm Café Restaurant and the award winning Le Talbooth. Families at The Orchards will benefit from highly regarded schools in the surrounding area, including Colchester Royal Grammar School, which topped the A level performance tables for the ninth year running in 2015, and Colchester County High School for Girls, which appears in the top third of schools nationally for A level results, as part of a selection of primary, secondary, and university-level options. For commuters, the main railway station is just a 10 minute drive away, making a journey to London easy, arriving into Stratford in under 45 minutes. Heading north, trains call at Ipswich (20 minutes journey) and Norwich (around an hour). Regular bus services connect Colchester with the local area, and there is a coach service to Stansted Airport. 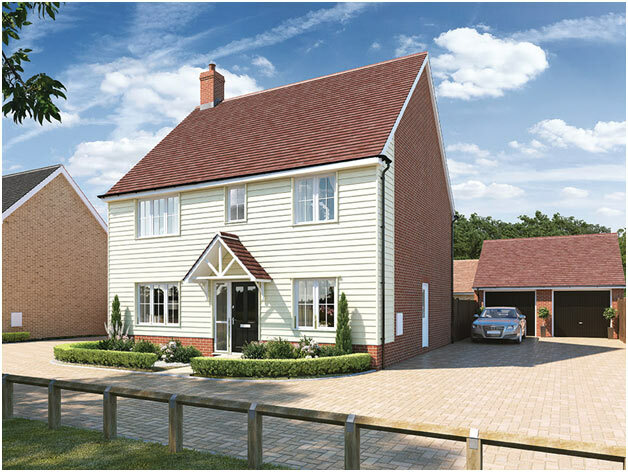 Prices at The Orchards range from £277,995 to £459,995. For further information, please visit www.bellway.co.uk or call 01206 844834.